Browse Outdoors for more articles like this. 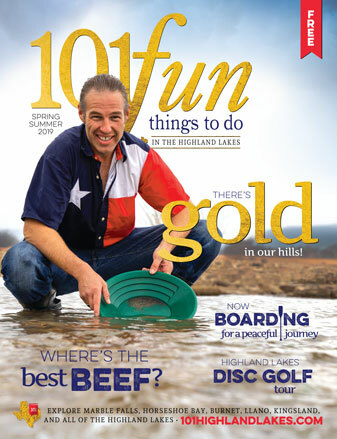 One way to really explore the Highland Lakes is by hiking. 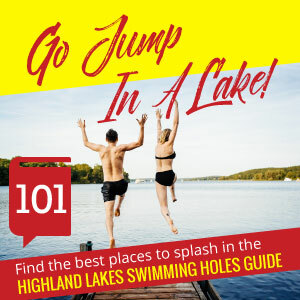 And the Highland Lakes has some top-notch places to hike, whether you're an experienced trekker or just taking the family out for a few hours. Two top places for hitting the trail in the Highland Lakes are Pedernales Falls State Park, located east of Johnson City, and Inks Lake State Park, just southwest of Burnet. 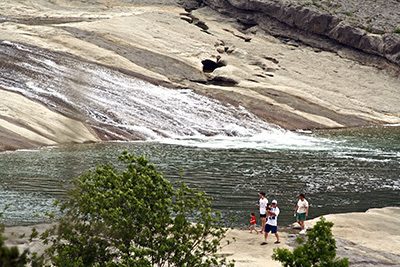 Pedernales Falls State Park has several miles of trails begging to be explored. The park is located at 2585 Park Road 6026 about nine miles east of Johnson City off FM 2766. Call (830) 868-7304. 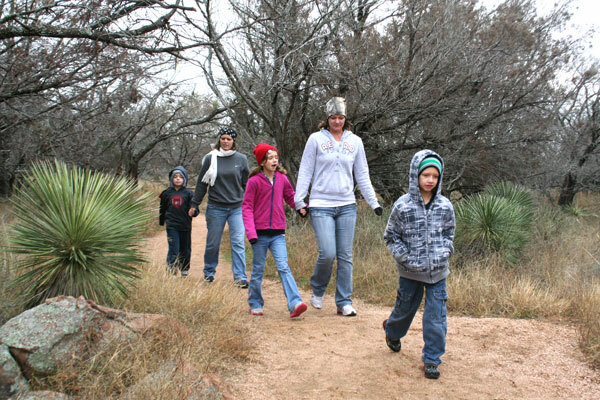 Inks Lake State Park with its granite outcroppings offers spectacular views of the countryside along its hiking trails. Take a hike led by a certified Master Naturalist. The park is located at 3630 Park Road 4 West about six miles west of U.S. 281 in Burnet County. Call (512) 793-2223. 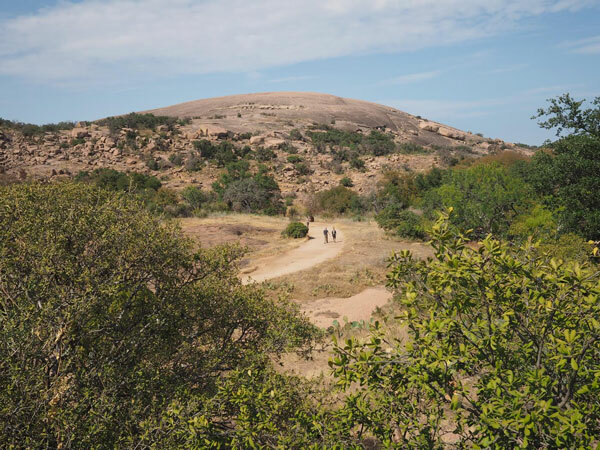 Speaking of granite, Enchanted Rock State Natural Area is one of the most unique hiking experiences in Texas. The park is located at 16710 RR 965 south of Llano and north of Fredericksburg. Call (830) 685-3636. 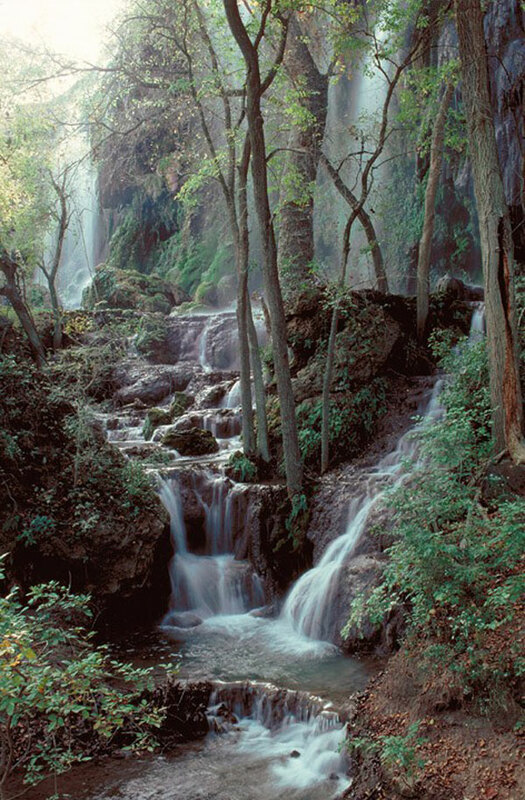 Colorado Bend State Park is home to Gorman Falls and numerous caves. Go north on U.S. 281 to Lampasas and, from the intersection of 281 and U.S. 183, take FM 580 west 24 miles to Bend. Follow the signs to the park entrance. Call (325) 628-3240. Balcones Canyonlands National Wildlife Refuge, located on the eastern edge of Burnet County, encompasses thousands of protected acres and several hiking trails. A great jumping-off point is Doeskin Ranch on FM 1174 north of RR 1431. Call (512) 339-9432. Along with state and federal lands, you can stick a bit closer to town with several hike-and-bike trails in Highland Lakes communities.